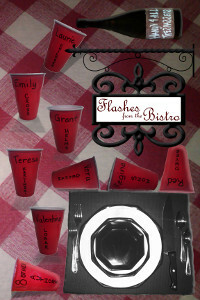 Flash in the Pan is back with the best micro-fiction from 26 authors. Even though the prompts range from culinary delights to eating establishments, these 250 flashes will excite, amaze, scare and revolt you. Set your imagination free and laugh. Toast with ghosts and ride through the countryside. Surprises await in stories no larger than 150 words. Flash fiction is the most fun in the smallest package! If we are not careful, the maitre d’ is going to toss us out on our ear!